With Christmas quickly approaching, the stress of finding just the right gift for the yogi in your life is beginning to build. Relax, we’ve got you covered. Here’s a list of 7 Christmas gifts in a range of prices, that your favourite yogi would be thrilled to unwrap during the holidays. And don’t forget yourself. Enter our Yogi Christmas Surprise Giftaway. This fabulous fitness wear brand offers leggings and capris so soft and comfortable you’ll think you’re wearing a cloud. Made in Brazil and distributed worldwide, these leggings are not just for yogis. They are great for runners, hikers, and loungers too. We’ve got an awesome giveaway sponsored by KAST coming up on Nov 15th. You don’t want to miss this one! 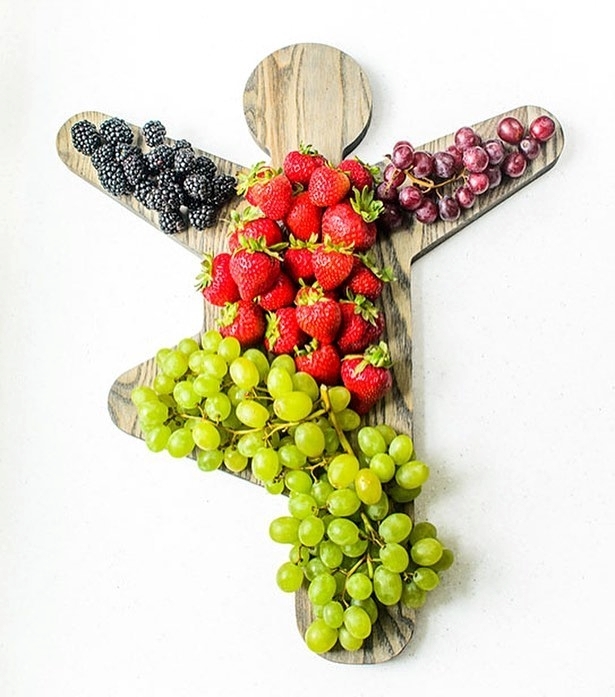 You’ve all heard about Yummi Yogi’s fantastic yoga pose shaped cookie cutters, now creative founder Amy Dube has come up with a yogi cutting board. The tree pose cutting board is made in the USA from Ash wood with an exclusive driftwood teak oil finish. 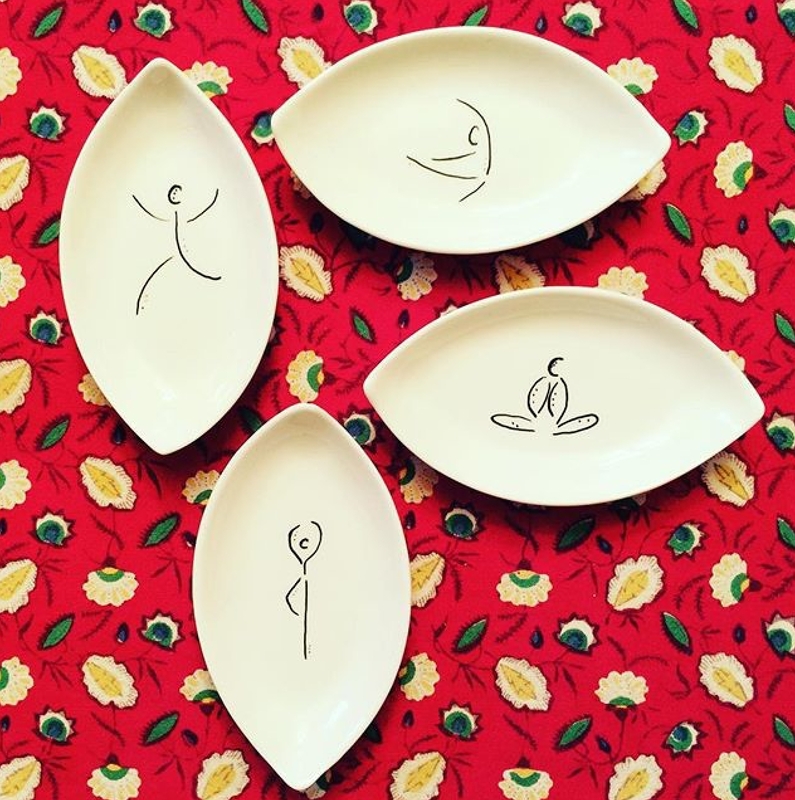 Great for entertaining your yoga friends at a holiday wine and cheese party, or a hostess gift that really stands out from the usual. Enter our Christmas Yogi Surprise Giftaway for a chance to win a Yummi Yogi cookie cutter and storage bag. These gorgeous handmade bowls are a great compliment to the veggies on your Yummi Yogi Board. Created with love by Etsy shop owner Angela Costolo in round and leaf shape. A set of four retails for under $30. Now that’s a great gift for your favourite yoga teacher. Every yogi needs a yoga mat. So why not try something different like a cork yoga mat from Gurus. Cork is a natural, renewable material that is environmentally conscious and feels great on your feet as you flow into your asanas. Add to that, cork gets grippier when wet. 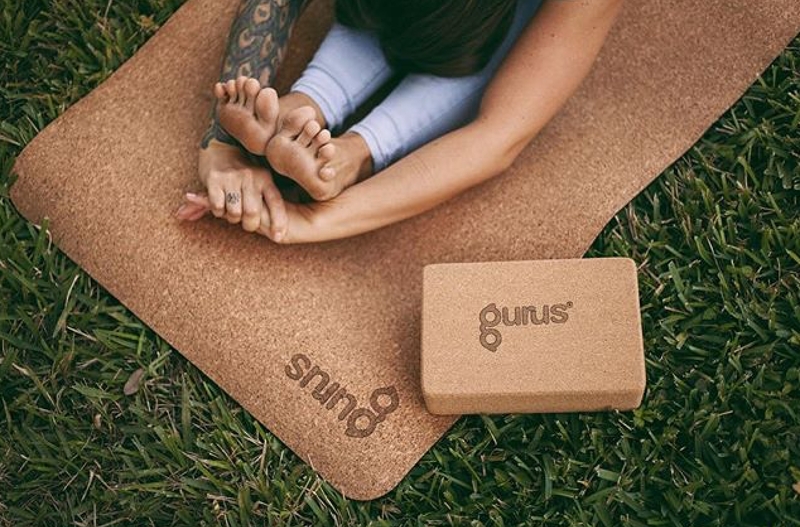 We love our Gurus sandals, so why not add a Gurus cork yoga mat to your yogi gift giving list. There’s something special from Gurus in your Yogi Surprise Giftaway. Enter Now! We’ve told you how great Daniel is, now you can try him out for yourself or gift him to the yogi in your life. 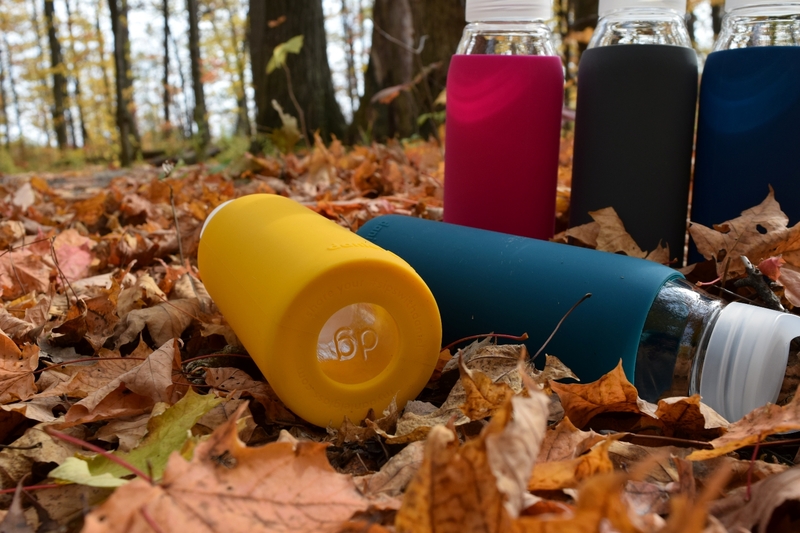 Every yogi gets thirsty and drinking out of glass bottles keeps your yogi’s water fresh tasting and healthfully free of BPA. We’ve got a Daniel glass bottle included in our Yogi Surprise Giftaway. At around $20 these socks will keep your yogi toes warm while you downward dog. Slip them on for yoga class on those days when your pedicure isn’t up to par. A great stocking stuffer for your favourite yogi. Or wrap them up with a gift certificate from your local yoga studio. Really feel like splurging this Christmas? Why not give the gift of yoga travel. 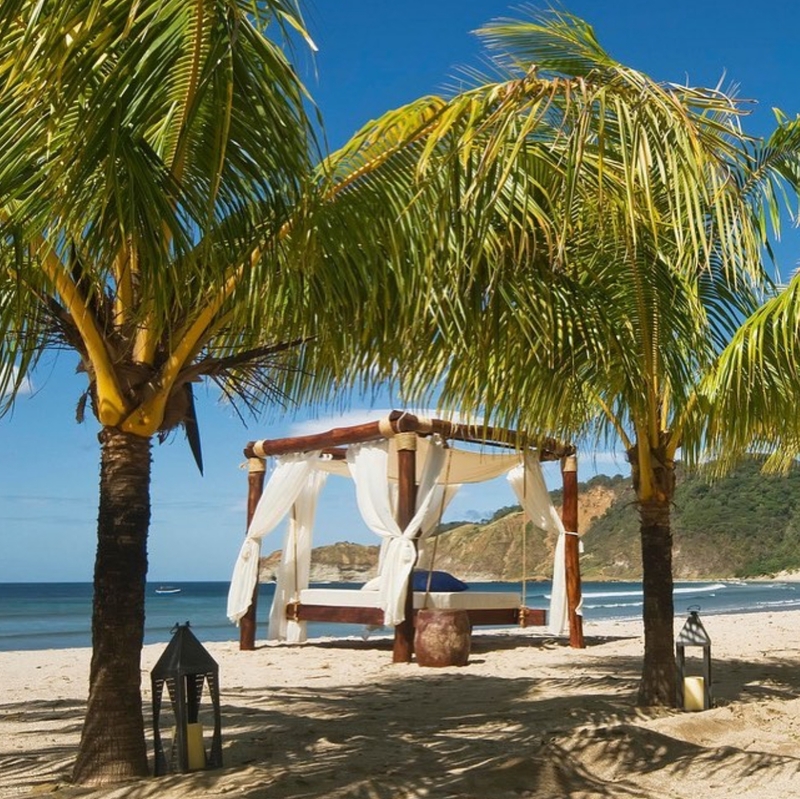 A yoga or wellness retreat to an exotic destination is just the thing every yogi needs to reconnect and relax. How about a yoga safari in Namibia, a yoga retreat at the luxury Mukul Resort in Nicaragua, or a yoga and wellness retreat with TrioYoga to Thailand. A yoga retreat is the ultimate gift every yogi is sure to love. Throughout the year we receive many gifts from brands far and wide. This year we’d like to pass those gifts along to you, to say thank you for reading TryBelle Magazine and being a part of our yoga community. We really love you guys! We know you’ll love the surprise gift we have planned for you. And after all that shopping you deserve some love too. Find the Yogi Surprise Giftaway post on our feed and comment by tagging 3 friends who you are thankful to have in your life. Reposting our post on your feed gets you bonus entries. Giveaway contest is open to those with a Canadian or USA shipping address. Giveaway contest begins at time of publication Nov 7, 2016 and ends Nov 30, 2016 11:50pm EST. Winner(s) will be randomly chosen based on comments and notified by Instagram DM by Dec 7, 2016. Winner(s) must respond to Instagram DM by December 14, 2016 11:50pm EST. Entry in this giftaway is in no way related to or endorsed by Instagram. Alas once again a contest that is doomed from the start. (no instagram). Happy Thanksgiving and good luck!! Not to worry Angela, we’ve got another (non-Instagram) giveaway going on right now. Check it out here http://www.trybellemag.com/kast-yourself-with-colour-and-comfort/ Thanks for being a reader and Happy Thanksgiving! And thank you for being a loyal reader and participant!